Carefully blended light from multiple exposures. 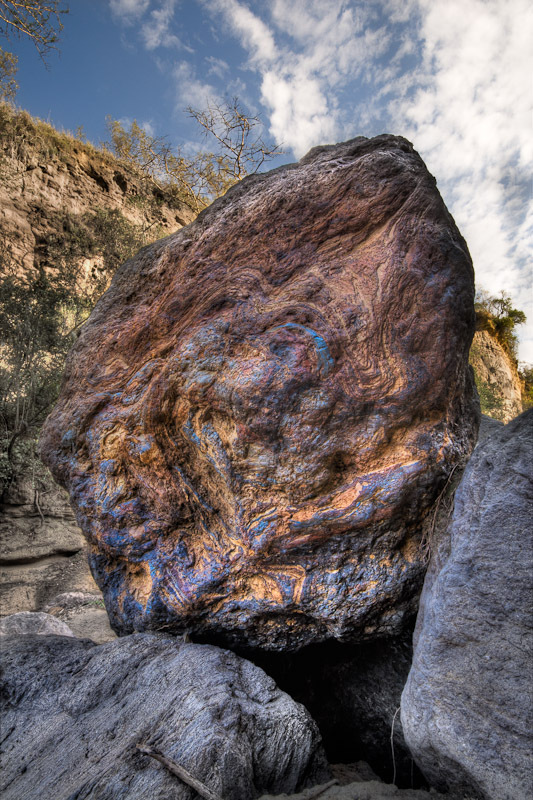 The swirling paint job on this rock were created deep within the violent volcanic belly of Mt. Longonot. Hells Gate Park, Kenya.